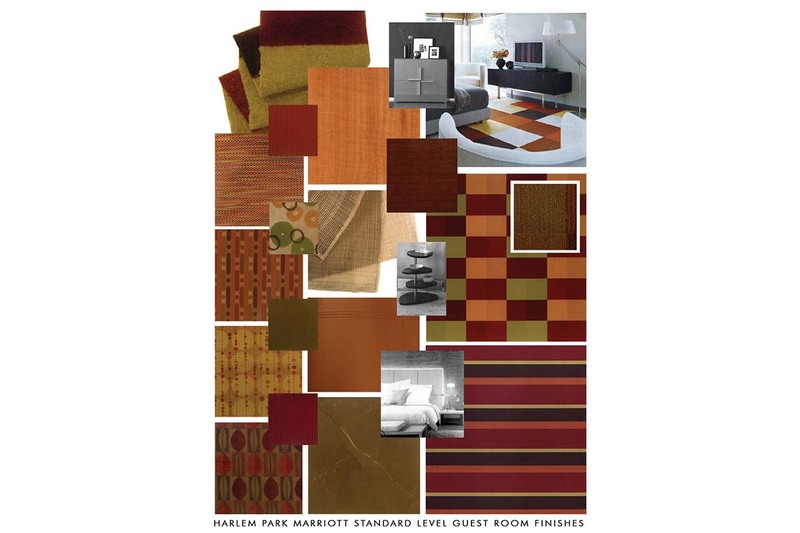 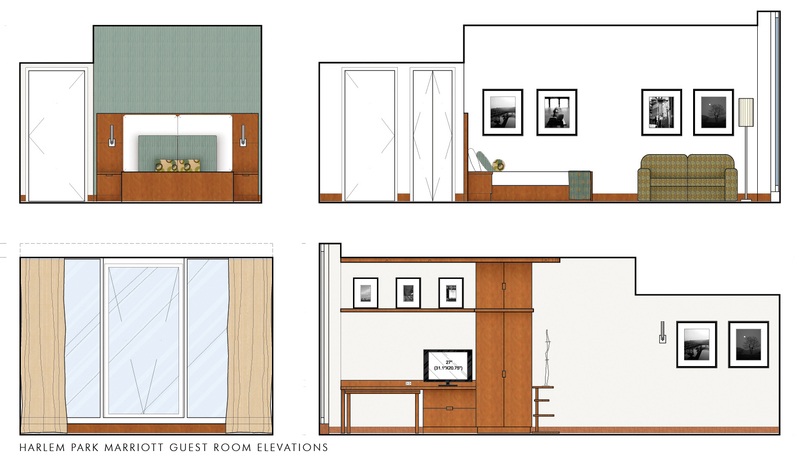 Architecture and Interior Design of a Marriott Hotel with 204 standard and concierge level rooms, a sky lobby, restaurant and outdoor roof terrace, and a link to independently operated banquet facilities on a lower level. 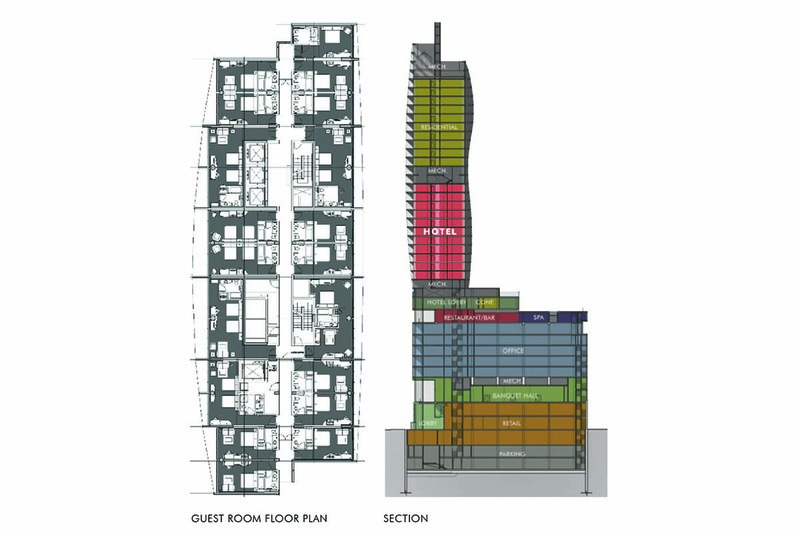 The high-rise design creates light-filled rooms with open uptown views from river to river and uses art, color and pattern in reference to Harlem’s rich history and African American heritage. 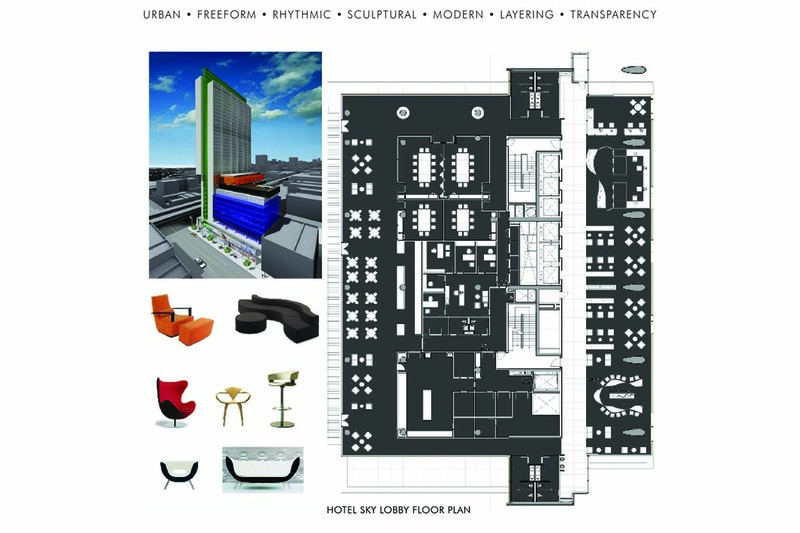 In defining a new urban model for Marriott, MDA responded to the goals of today’s global traveler by providing value as well as style in a design-focused hotel that embodies the spirit of its unique urban location.